Autoflo 97EP Humidifier Filter. 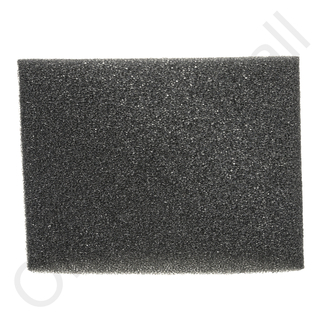 Autoflo 97EP humidifier filter for whole house humidifier. The filters works fine, but what really impressed me was the easy exchange. These are for my furnace humidifier, and I only need one per winter season. I usually buy two at a time, so I only order every other year. This year, I purchased the wrong size, and had to make an exchange. I called them, they quickly directed me about how to return the wrong-sized filter, and they sent the replacement filter right away! Great customer service! This is the filter (media) pad for the model 97EP humidifier that uses the hamster-wheel drum. I like that the seam is strong without the staples or mesh. It comes in a sealed bag and was well-packed. filter seemed to be very strong and pliable.It seems that it will last for the year as advertised. The replacement media pad I purchased for my drum-style Autoflo 97 humidifyer fit over the drum wheel nice and snugly, even without the stapled mesh. Ordering from the Autoflo parts website was simple and the materials arrived well-packaged. We are wondering why it didn't have the mesh cover on it...we took the cover off our old one and reused that but it won't last another time. This OEM foam cylinder fit over the rotating drum unit perfectly. When used in conjunction with the original nylon mesh retaining sleeve, there is no media slippage. This slippage problem used to require staples to keep the filter in place. I was very satisfied. I received the item on time as promised. Part was in excellent condition and it fit well. One thing missing was the instructions to instal. I had to get that from the Web.